“Flattened” Expanded Metal is formed by standard expanded metal sheets passing through a cold roll reducing mill parallel to the diamond pattern (LWD). By flattening the sheet, the bonds and strands are turned down to produce a smooth and flat surface, reducing the overall thickness and elongating the diamond pattern. Cross roll flattening is done by passing the expanded metal sheet through a cold roll reducing mill parallel to the SWD. The result is the same except the diamond pattern SWD is elongated. 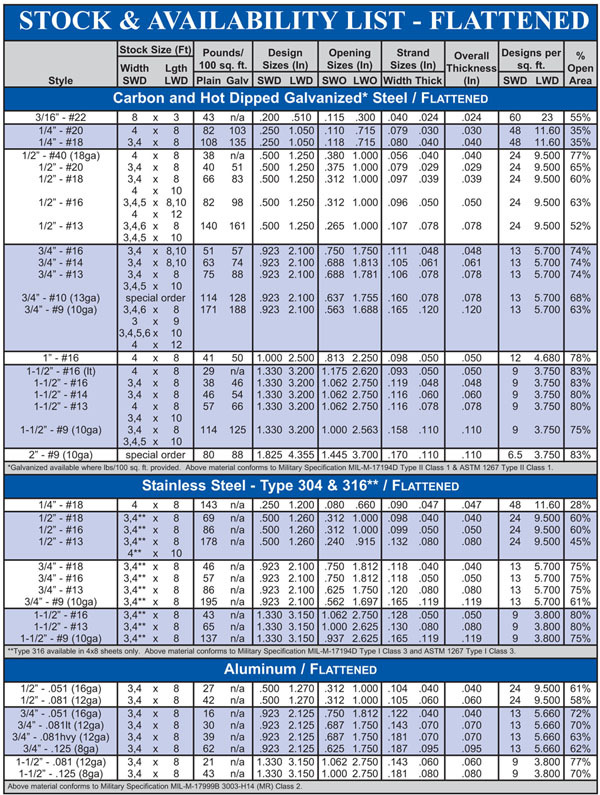 Material thickness may vary +/- 10% from the published dimensions.